Oak Strawbridge is a Principal at Douglass Winthrop Advisors where he serves as advisor and portfolio manager to the firm’s clients which include individuals, foundations and trusts. Prior to joining Douglass Winthrop, Oak was Partner and CFO at the Grosvenor Funds, a Washington, DC based venture capital firm. He earned his MBA in finance and entrepreneurship at Georgetown University. Oak is a Vice Chair of the Washington Home and Community Hospices and Finance Committee Chair of the Sibley Memorial Hospital Foundation. Zachary Gering joined Sontag Advisory in 2012 and serves as an advisor and Vice President working with clients to develop, implement and oversee wealth management and financial planning solutions. 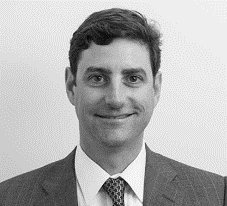 Before working at Sontag, he worked as a Senior Analyst in the Hedge Fund Administration Group at Citco Fund Services. He graduated from the Martin J. Whitman School of Management at Syracuse University with a BS in Accounting and Finance. Zachary holds the CFP designation. 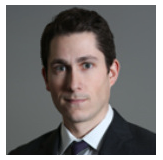 James Lebenthal is a Partner and Investment Advisor in the New York office. Before joining HPM Partners, Jim served as the CEO and CIO of Lebenthal Asset Management LLC, where he developed, advised and served client relationships. Prior to this, he was a financial advisor for Goldman Sachs and a partner of investment firm Levy Harkins. Jim holds the CFA designation and received his MBA from Wharton School of Business. Additionally, he is a veteran of the US Navy Submarine Service.